Learn more about Suncoast Web Solutions and its team of industry professionals. Suncoast Web Solutions offers the full spectrum of internet related services to our clients to assist them maintain a quality online presence and to improve their return on investment. We have been providing our valued services to local, national and international clients for over six years and have built a strong team of experienced and creative professionals. By choosing Suncoast Web Solutions as your IT partner you gain much more than just a web development company. You partner with a company that will advise you with transparency and accountability, and guide you to long-term success online. The team at Suncoast Web Solutions prides itself in developing cutting-edge solutions that meet the needs of your organisation, creates a positive web presence and makes money for your online business. And once you are up and running we don’t desert you. We provide training to ensure you can manage our simple to use Content Management System so you can add or delete pages, add or delete menu links, insert or delete images, add new products to your shopping cart, change colours or text and a whole range of other useful assistance. We also provide ongoing maintenance assistance and advice; a comprehensive support base to help resolve issues; and knowledgebase articles to guide you through frequently asked questions. Suncoast Web Solutions provides a comprehensive range of Internet related services through the resources and expertise of the following people. 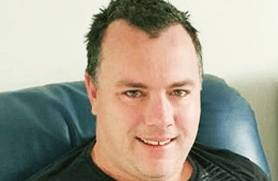 Neil is a founder of Suncoast Web Solutions with over 18 years’ experience covering website hosting and development. He is a Microsoft Certified Professional (MCP), but has an extensive knowledge of a wide variety of software, operating systems and web development processes. Neil has completed website accessibility training so that our customers sites can be built to Level AAA where required and requested. Neil ensures our servers are secure and stay online; our networks function with utmost reliability; and our client’s problems are resolved speedily and efficiently. Neil also owns a number of websites as well as contributes back to the open source community in his spare time. Sarah came to Suncoast Web Solutions with many years’ experience in general administration. Sarah also attends to the registration, transfers and renewals of domain names and the web hosting side of the business. She is responsible for developing and implementing customer-focused initiatives all the way through the company’s operations. When Sarah is not working she enjoys looking after her 3 young daughters and son, going for long drives, taking lots of photos as well as spending time with family and friends. Tubai (Abhijit Sarkar) has worked with Neil for just over 13 years. He manages most of the visual and design-related tasks for our client’s sites. Tubai has a sound knowledge of web architecture and the UI-UX aspects of any visuals. As well as almost a decade of practical experience, he has completed his MBA and is an Aptech-certified Multimedia Specialist. Married with one child, Tubai lives and breathes design, and sees every job as a challenge. That’s why he is such a valued member of the Suncoast Web Solutions team. Malay leads our SEO Team and all of the SEO activities at Suncoast Web Solutions. His role is a comprehensive one that scales from handling Strategic Planning and Implementation of complete SEO programs. Malay has over 10 years experience in SEO and this experience makes him a great asset to the Suncoast Web Solutions team. He is Google Analytics Certified and also has WooRank Digital Marketing Certification. Malay’s extensive knowledge of SEO has helped some of our clients achieve great results with their rankings in major search engines. He loves to keep himself updated with the latest techniques and trends relating to SEO. This means we always find Malay studying and researching Internet Marketing sites and publications. His expertise extends to handling complex analytical tools which enables him to show new and existing clients areas in their online marketing efforts are succeeding or letting them down. He also uses these same tools to find effective solutions on how to get the client better results both in the short term and the long. When Malay is not at work he loves to spend time with his wife and daughter as well as riding his motorbike, listening to a large variety of music and watching movies. She has now switched her attention to commercial writing, providing a full SEO writing service to our clients. Whether you need pages of content written for your new website, or blogs and articles for your SEO campaign, Isobel will make it happen.